New Collection by Peach Couture. Peach Couture is a registered trademark. 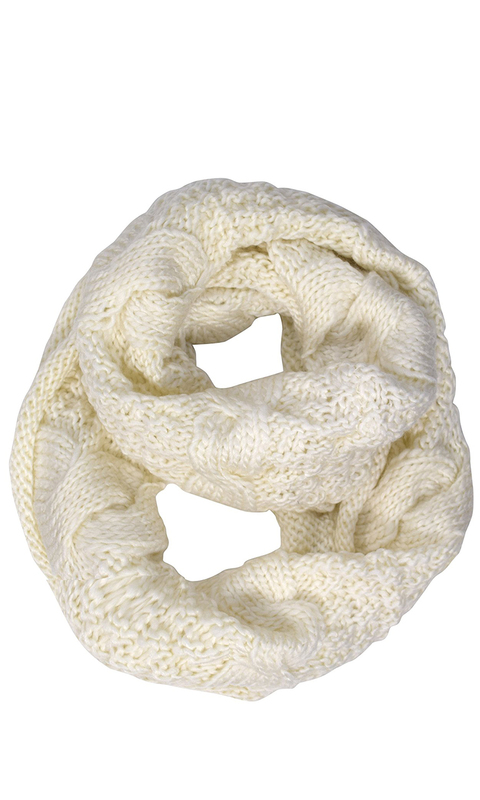 This Chunky Infinity Scarf can be worn many ways. Wear in a single or double layer for a cozy chic look. When doubled - pull one end up over your head to cover ears for function as a hood. 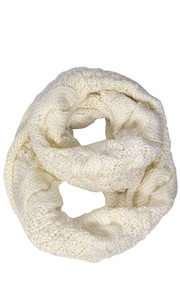 Wear knit scarf in a long loop with one end around shoulders for a shawl feel. Features a stylish braid knit pattern which makes this scarf so unique. You would enjoy wearing it every single day because this scarf is super cozy, warm and comfortable, no matter what you do or where you going. With this scarf you can keep your cool vintage boho chic look. Material: 100% Acrylic. Hand wash in cold water, tumble dry for long lasting performance. Size: 30� x 12�.